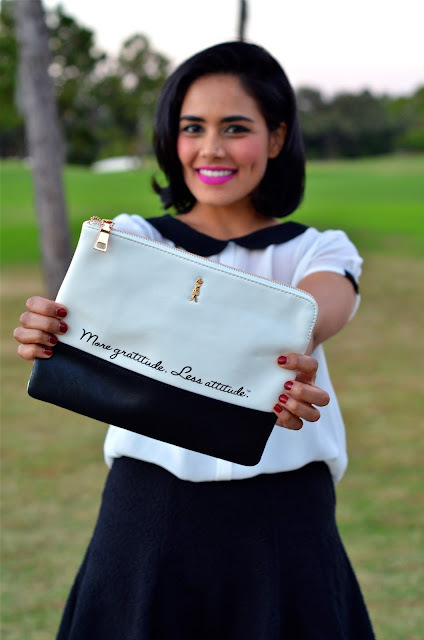 Bonjour, so as you probably noticed from the pictures, this post is all about this perfect clutch from Le Motto. Like I mentioned in my previous post I am a big fan of positive messages and now I can share it through a clutch. This is definitely a holiday gift item !